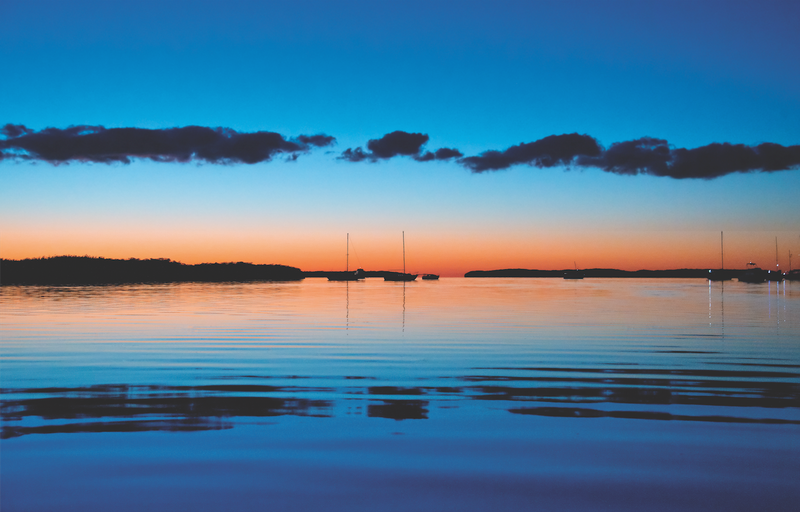 A Keys sunset from the Lorelei Marina in Islamorada, where Capt. Dave Borras launches his flats fishing boat. Capt. 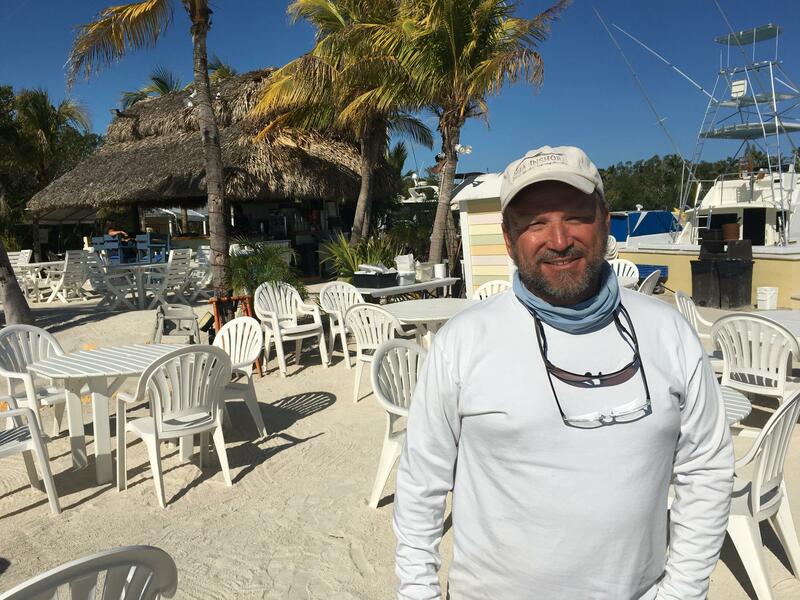 Dave Borras is a flats fishing guide, who works out of the Lorelei Marina in Islamorada. Deb Gillis at the Key Lantern motel, one of three motels she owns and runs in Islamorada. She also serves on the village council. 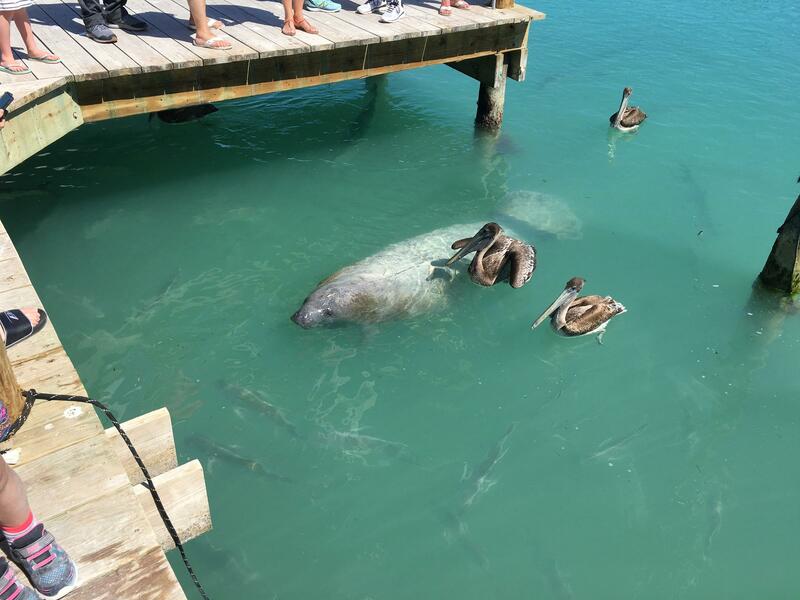 Tourists line the dock at Robbie's Marina in Islamorada to feed the tarpon, while pelicans try to steal the fish and a manatee floats through. Cheeca Lodge, one of the oldest and largest hotels in Islamorada, is set to re-open March 30, 2018. 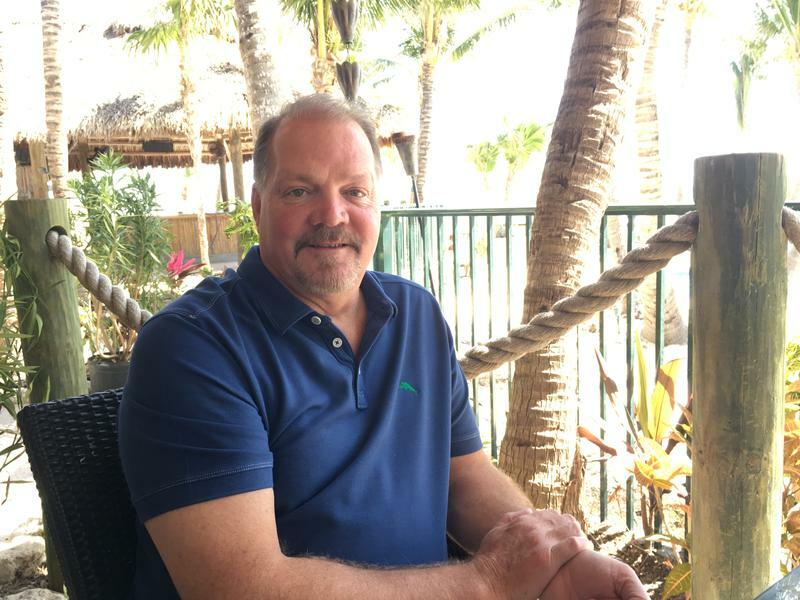 Bob LaCasse, general manager at Cheeca Lodge in Islamorada. 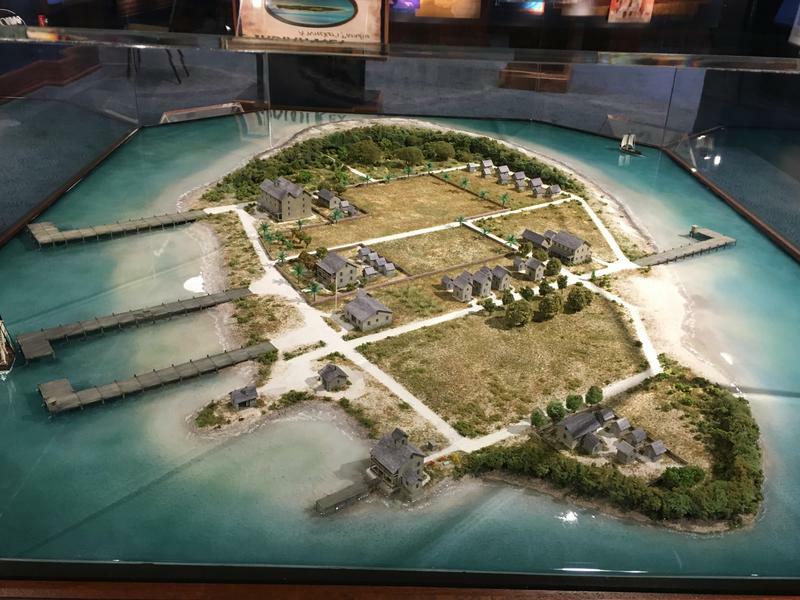 But Islamorada got the water — a storm surge that rose out of the Atlantic Ocean and swamped the oceanfront resorts that sell views of palm trees and normally calm seas for hundreds of dollars a night. Now the small community that calls itself the "sportfishing capital of the world" is rebounding. "When the storm hit, we had about 1,300 hotel rooms. 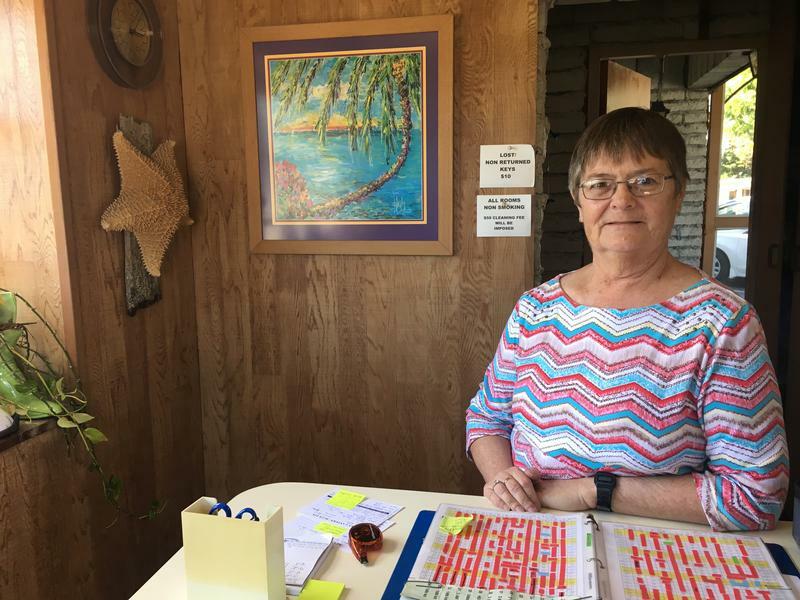 And when we re-opened, we had 80," said Deb Gillis, owner of three motels in Islamorada. But the "we" she's referring to here is the entire village — she's a member of the village council. Her motels are almost fully booked now, six months later. They did OK in the storm. 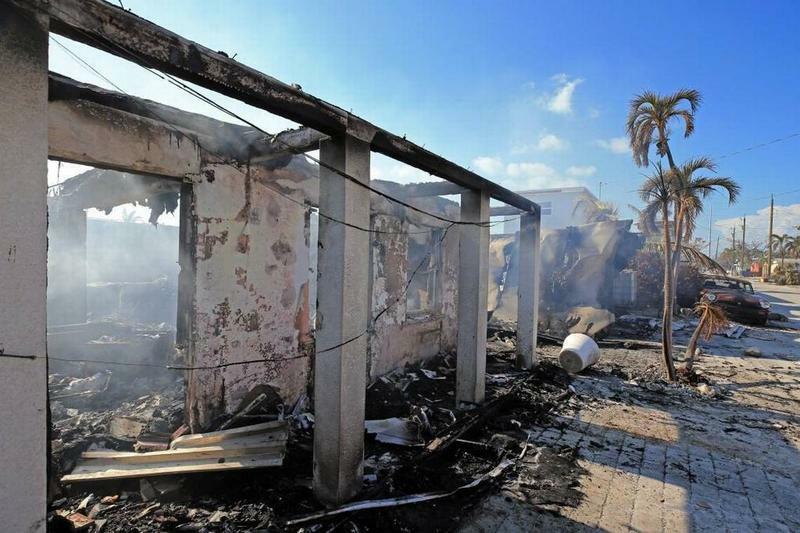 Like everybody else, they had some damage, but her properties are on the bayside of the Overseas Highway. The ocean side got hit much harder. "There's not one business that's not affected," Gillis said of life since the storm. "It trickles all the way down to a printer, because if I don't need as many reservation cards, or business cards, he doesn't get the business, either." Irma's six-month anniversary comes at the height of tourism season, and business is still down because of the storm. Capt. Will Winton said part of the problem is that people don't know who's open for business. We're "just trying to get the word out that we're still here. Still trying to fly people," he said. Winton "flies people" from the Aw Chute — a parasailing boat. Before Irma, the boat was based at Hawk's Cay in the Middle Keys. But that resort is still closed, with a partial re-opening scheduled for March 16. Now the Aw Chute is based at Robbie's Marina in Islamorada. While waiting for customers, Winton helps tourists who are feeding the tarpon from the marina docks. It's an iconic Keys scene, with pelicans trying to steal the fish and a manatee floating through. Winton lives in the Upper Keys with his girlfriend, who works as a waitress. He said they considered leaving after Irma, but their landlord worked with them on the rent to get them through. However, they lost some neighbors. "A couple weeks after the storm, they couldn't make enough, so they had to move away," he said. New neighbors moved in — people who had been displaced from a mobile home destroyed by Irma. "So we've lost some friends," Winton said, "but we've made some new ones." 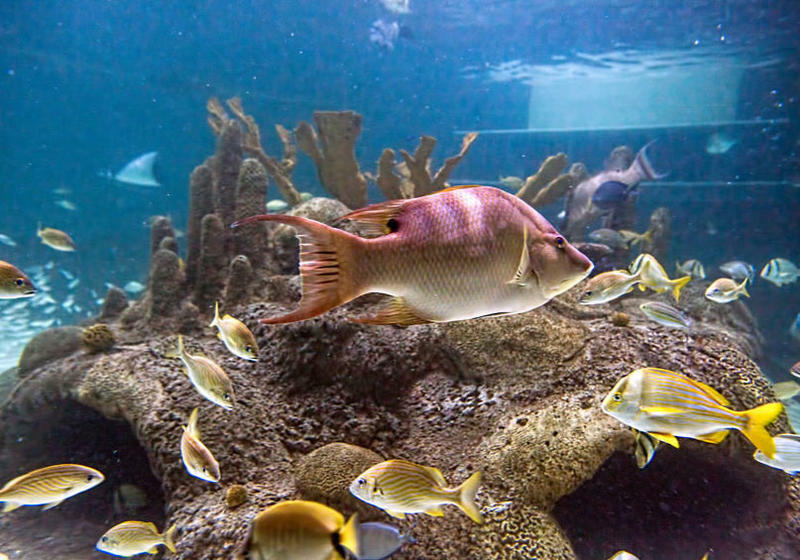 Winton says now that Islamorada's big hotels are re-opening, things are starting to pick up — and he's hoping for a busy spring break. Capt. Dave Borras, a flats fishing guide, says this year has been the slowest he's seen. "You're used to kind of being busy and all of a sudden, you're sitting around, waiting for the phone to ring," he said. "In past years, you hated to hear the phone ring because you were already booked anyway." Borras said his wife worked extra hours at her job at a medical clinic to help make up the difference. Some fishing guides worked construction or storm cleanup. "I think it hurt your pride as much as it hurt your pocketbook, just not being as busy as you wanted to be," he said. Now the guides are counting on tarpon season — April, May and June. "People come from all over the world to fly fish for tarpon here. And so you have the same clientele, basically, year after year after year," he said. Those clients are booking their trips and have found places to stay, Borass said. 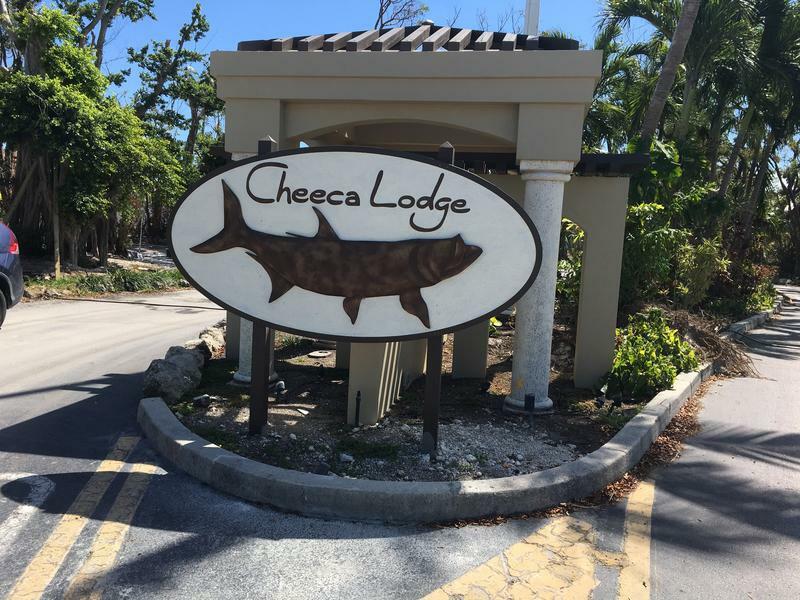 One Islamorada mainstay will be re-opening just in time — Cheeca Lodge is set to re-open March 30. The infrastructure at the 214-unit property made it through Irma just fine, according to the property's general manager, Bob LaCasse. "It's all aesthetics for the most part," he said. Cheeca has been gutted and renovated since the storm. 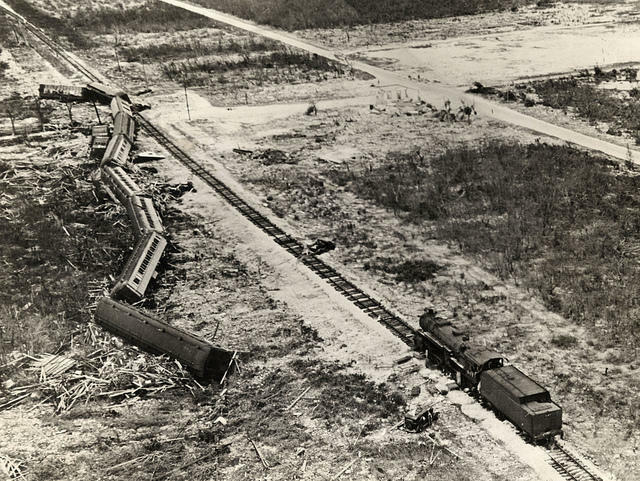 It's not the first time — a hotel on the same site was destroyed by Hurricane Donna in 1960. And there was a fire 10 years ago. "The bones of this hotel have been around for a long time," LaCasse said, "and it's going to be here for a much longer time." Unlike some other resorts in the Keys, the 200 employees at Cheeca never lost their jobs. They helped out with the cleanup and renovations. Gillis was able to keep her staff working at her motels. Even when the tourism business was slow, she said, there was a lot of work. "If you thought you were busy before, now you have another whole level of repair work to do," she said. "Two to three times the amount of work, because of the cleanup." Spring breakers are already showing up in the Keys. 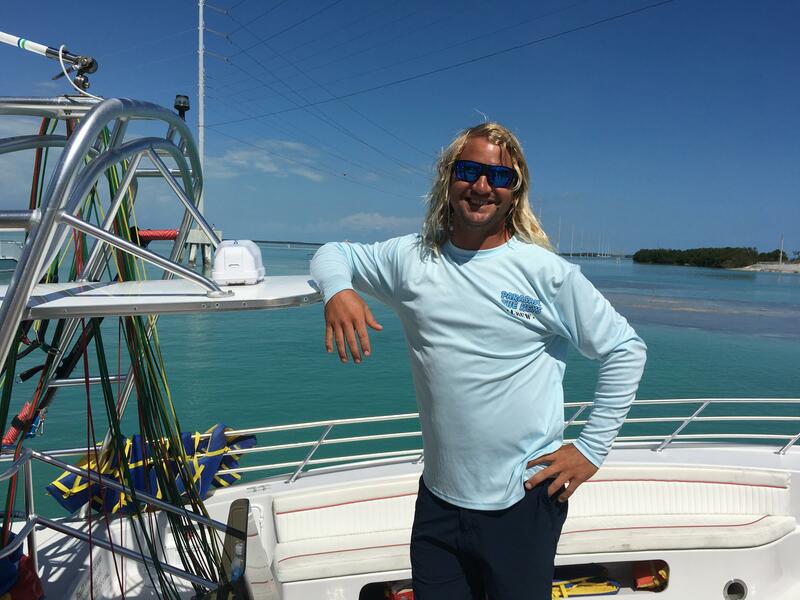 Winton, the parasailing captain, said there's plenty for them to do in Islamorada. "Up and running — fishing, parasailing, snorkeling, scuba diving, eco-tours, jet skis, kayaks — all that stuff," he said. Now the weather just has to cooperate. More than five months after Hurricane Irma crossed the Florida Keys, clean-up began of the canals that cut through much of the island chain. Many canals, especially in the Lower Keys where the storm’s eye crossed, were full of debris including RVs, appliances and structural materials ripped from homes. 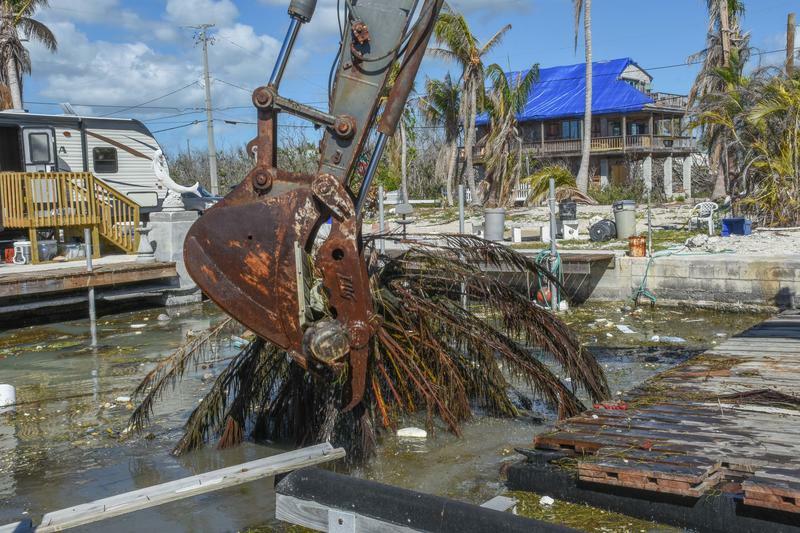 The county estimates that Irma left 100,000 cubic yards of debris in Keys canals and that removing it will cost between $15 million and $30 million.